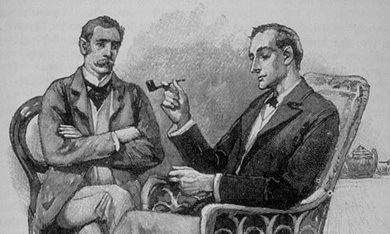 Arthur Conan Doyle created Sherlock Holmes as a serialisation in The Strand Magazine before he became the Country’s greatest fictional detective. Of course, there is no connection with Jack the Ripper, but Tony’s characterisation puts the sleuth in the position of examining the clues from the murderous Streets of Whitechapel. The East End serial killings are a hook to hang this incredible story on. And, on the day, Tony will choose someone from the audience to volunteer to become Dr Watson and help note down the clues as they unfold. They called it the murderous square mile. It all happened within the space of 12 weeks and the east End of London would never be the same again. Five victims were murdered, but the murder rate in London was so high anyway, that the police were overcome. 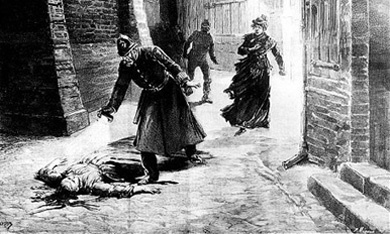 It took vigilantes to patrol the streets and coppers dressed as women to ward off the ripper’s attentions. Tony’s talk really fills in the blanks about Victorian London; who lived where, what squalor was really like and who could afford a twopenny leaner? Sherlock and Dr Watson will solve the case with your help. Tony’s Ripperology qualifications mean he knows the case inside out - which was how some of the victims ended up!